Put in simplest terms, Ifa is a religion of the Yoruba peoples of Nigeria West Africa. Priests of Ifa are called Babalawo. Probably the most important job of the Babalawo is that of translating the teachings of Orunmila for Ifa’s many adherents. 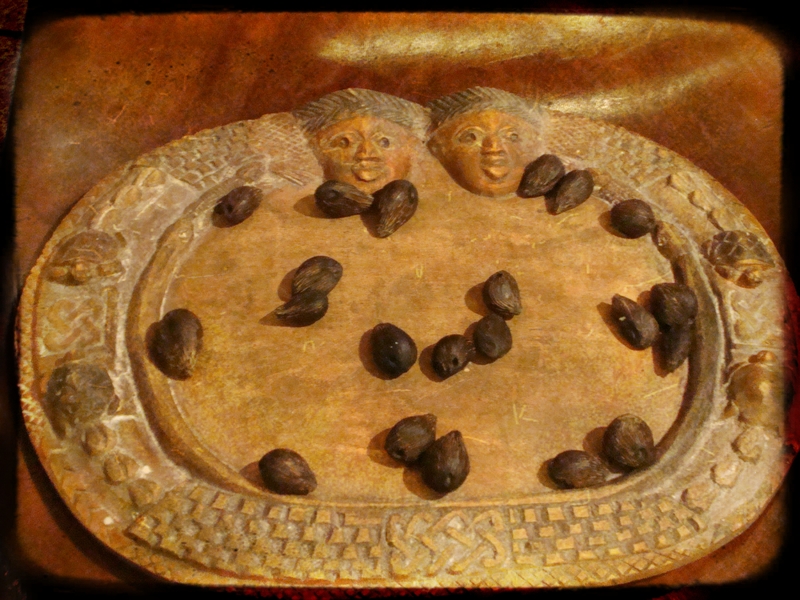 Orunmila, who is said to have walked the earth thousands of years ago, is the great prophet of the Yoruba people. He is said to have been the only Orisha to be permitted to witness the whole of creation from beginning to end. He knows the fate and all possible roads of everything in existence. Because of this, he is called “Eleri Ipin” The Witness of Fate. His many teachings, which range from how best to navigate the everyday affairs of the human condition to contemplating highly esoteric ideals, are coded in the 256 Odu of the Ifa religious corpus. While Odu cannot be easily explained within the confines of one short article, I will for the purposes of this writing, define Odu as the language through which Orunmila speaks to the Babalawo in order to impart his wisdom, knowledge and advice on those who seek it. The precise methodology of this communication is a matter for another time and is best left to those in training for Ifa priesthood. 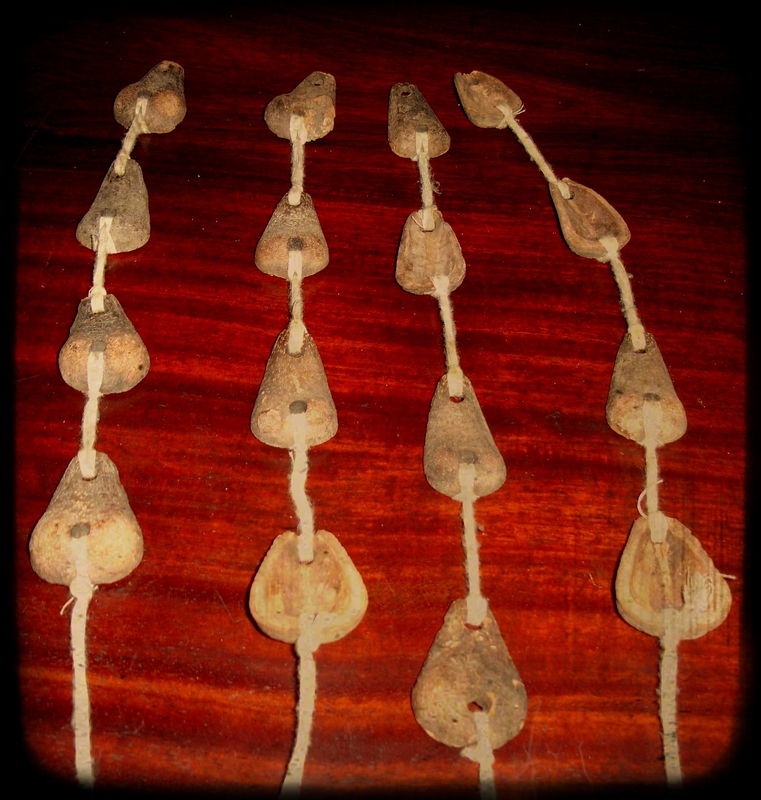 The tools of the Babalawo – the Diving chain (Opele) and the Ikin – are consecrated to provide a direct connection between The Babalawo and Orunmila. It is with these tools that Ifa divination is performed. Dafa or Ifa divination is performed for a myriad of reasons. These reasons range from the aforementioned issues of every day human existence to the more in depth knowledge of the individual life experience such as Life path and/or Guardian (crowning) Orisha. The Primary Odu for this year is Iwori-Idi. Each of the 256 Odu of Ifa consists of two “legs”. The right leg speaks to us of the organization of our daily, temporal life, while the left leg pertains to the organization of our emotional and spiritual life. The two legs of Odu work in harmony and are interdependent. Iwori on the right side of the Odu suggests that this year we must steer clear of making snap decisions. We must go forward with clear heads weighing all options carefully. Don’t rush into anything. Make plans. Look at things from all angles. My Baba likes to say “Measure twice and cut once”. You may not get a do-over so make a good impression the first time! Idi as the left leg of this odu says that we should seek opportunities to express qualities associated with Osun in our emotional and spiritual lives: love, sensuality, movement, adventure, curiosity and abundance. With Idi it is not only that we need to express these qualities, but also to realize that we DESERVE the happiness and fulfillment associated with these qualities. All praise to Olodumare that this Odu of Iwori-Idi comes to us Ire (On path/in good fortune) as confirmed by the Odu Otura-Ogbe. Otura as the right leg of this Odu indicates that maintaining the balance of Ire requires us to approach our temporal/daily affairs with a sense of calm, clarity and focus. We are instructed to maintain this in order to help us make, clear, concise and informed decisions. Those based on logic and not the heat of the moment. Otura also says to take the time to listen to the wants, needs and concerns of others before sharing our own with them. Others may have insights that you never thought to consider. This action also serves to show others that you care how they think and feel. Ogbe as the Left leg says that our emotional and spiritual lives are full to the brim with opportunities this year. By using calmness, clarity, focus and empathy we will be able to choose the best paths and opportunities for all concerned. The area of life governed by this year’s energy is that of relationships as confirmed by Ogbe-Ose. Ogbe on the right leg of this Odu indicates There is tremendous potential and opportunity for growth in our day to day relationships. We must remember the lessons of Otura (See above) to help us maintain balance, and the lessons of Iwori (above): Choose wisely. Make concise, clear and informed decisions. Don’t make commitments without thinking long and hard about them. Ose is the left leg of this Odu. Ose is another sign of Orisa Osun. In our spiritual and emotional relationships, Ose is a sign of pure joy, exploration, sexuality, curiosity, all those traits for which Osun is most well-known. I leave it to each person reading this to interpret what this means to them. The main Orisha to work with this year to maintain the balance of Ire and maximize the possibilities of this year’s primary Odu, is, of course, Oshun. Oshun is the spirit of sweet water, of love, of prosperity, of abundance, etc. Oshun is the Orisha without whom anything about life would be palatable. She is what makes life worth living. 2014, therefore is a year of love, exploration and prosperity in our relationships. We must, however, remain vigilant. Do not become careless or complacent.